If you have read any of my adventures involving a store, you know that I am a frequent visitor of Trader Joe’s. I love that place. Next week, I will participate in a $64 challenge sponsored by Amiyrah Martin of 4hatsandfrugal.com, where I purchase groceries from Trader Joe’s for my family of 5 for a week for $64. Yes. $64. 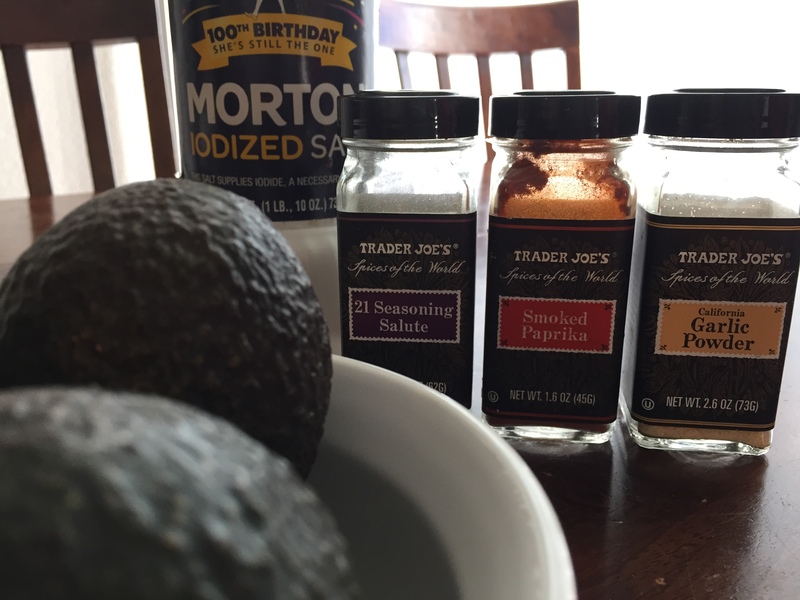 So, here is my list of 21 ways to use Trader Joe’s 21 Seasoning Salute. 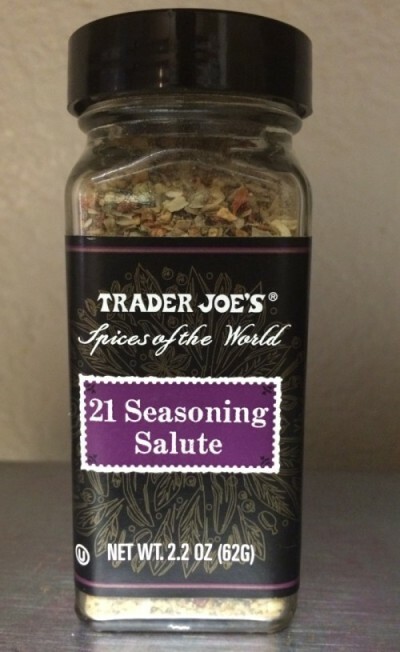 If you are a fan of 21 Seasoning Salute, what are ways that you use it? *I provided the link above for those of you who do not have access to Trader Joe’s. You too, are welcome. My family loves guacamole. Loves it. However, my sweet baby girls have no concept of “preparation time”. So, from the moment I slice open an avocado, I have about 3 minutes before they cry mutiny –staring, pointing, crying, melting. Anyway, I needed an option, a shortcut guacamole, and decided to experiment with some of the spices that I had in my pantry. My friend Tiffany (www.thepsalmstresscorner.com) introduced me to smoked paprika. Y’all. This worked. Delicious. Simple. Addictive (I’m eating a bowl of it now). And quick. I can put it together with a few flicks of the wrist and shakes of the hand (I literally use about 10 shakes of each seasoning). Slice and scoop the avocadoes. So don’t despair if you are preparing for a party (I think there’s something pretty “super” going on this weekend), and you look over at the bowl of avocados with 5 minutes before your guests arrive. You have time. Oh. And as a freebie, when you are selecting those avocadoes, here are a couple of tips I came across to determine if they are ripe and how to ripen and store them.